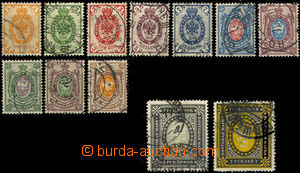 1917 Mi.121 State coat of arms complete printing leave of two PL 2x 50pcs of stamps with 2x 6pcs of pseudocupons imperforated, cnl.!! 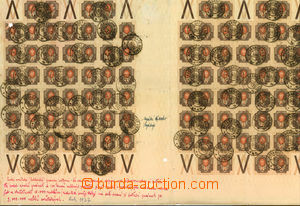 Kozácké Kievsko/ 13.I.22, damaged torned, folded, KVP, historically interesting document. 1949 SS Mauzoleum, Mi.Bl.11A, cat. 270€Mi.